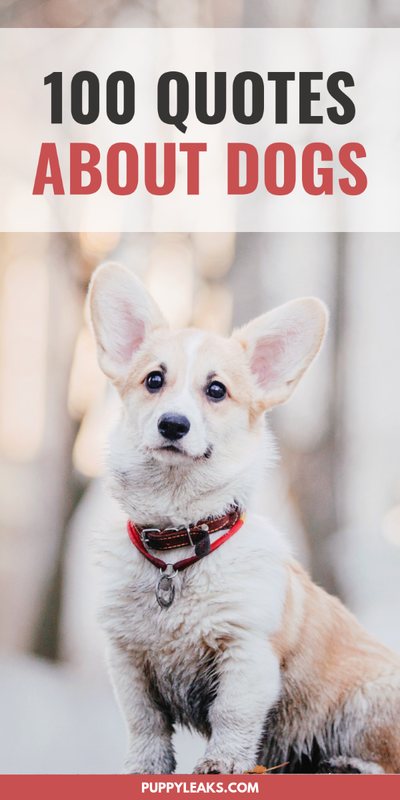 All of these quotes about dogs hold a special place in my heart, and I hope you enjoy them as much as I do. 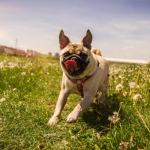 From the funny to the inspirational, here’s 100 of the best dog inspired quotes. 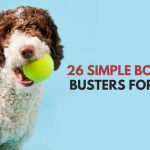 And if you’re looking for even more dog quotes be sure to check our list of 30 funny dog quotes, 25 heartwarming dog quotes & 30 powerful quotes about losing a pet. 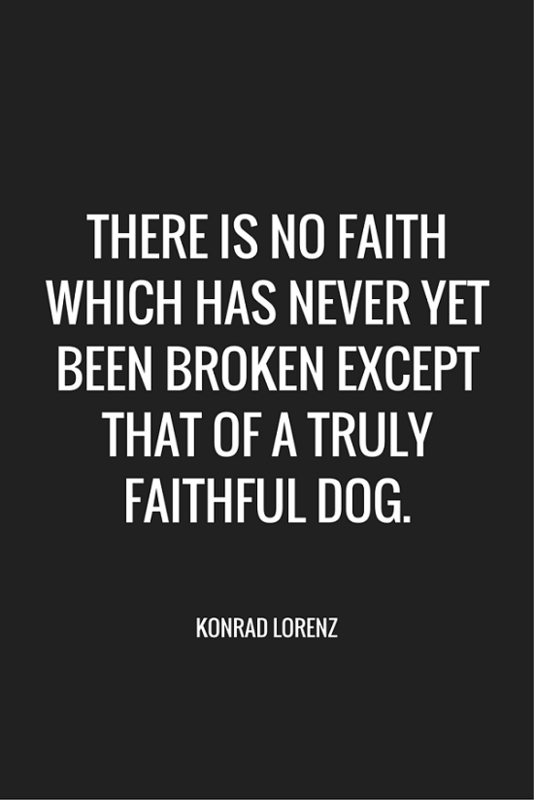 Looking For Some More Great Quotes About Dogs? 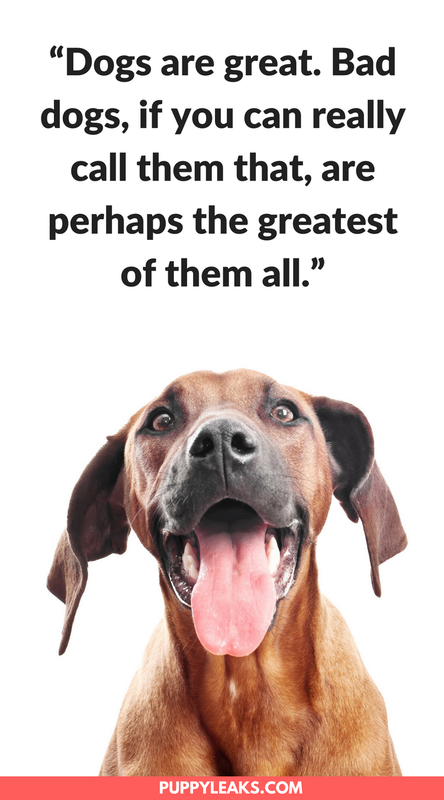 What’s Your Favorite Dog Quote? 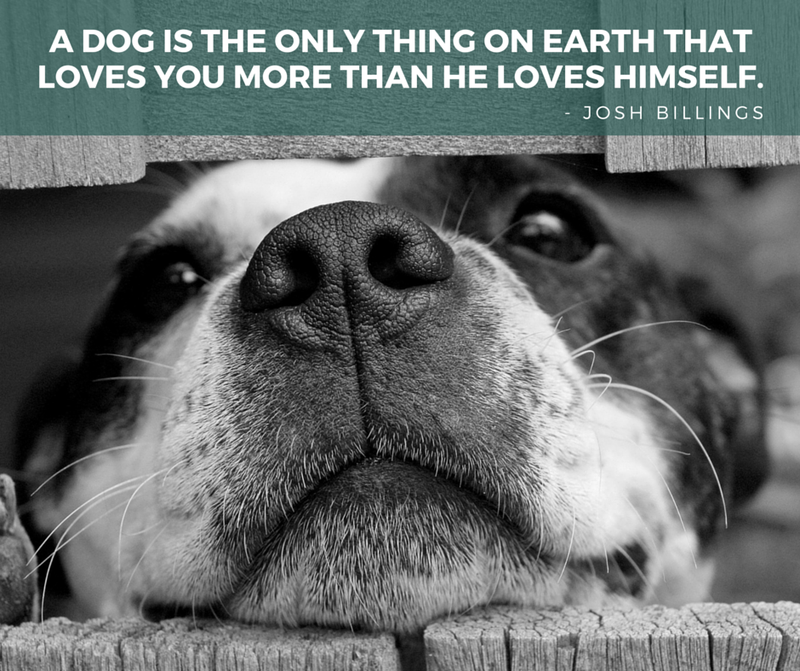 Do you have a favorite dog quote? 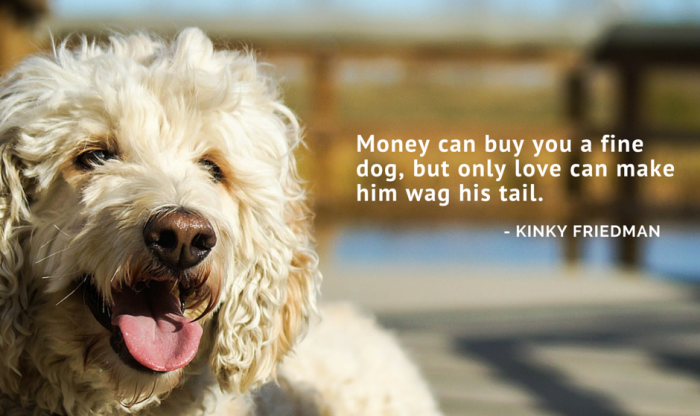 I’m partial to “Money can buy you a fine dog, but only love can make him wag his tail,” but then again if you ask me that question tomorrow I’ll probably point out another favorite of mine. That’s what I love most about great quotes; there’s one that’s right for any mood. I too love quotes. 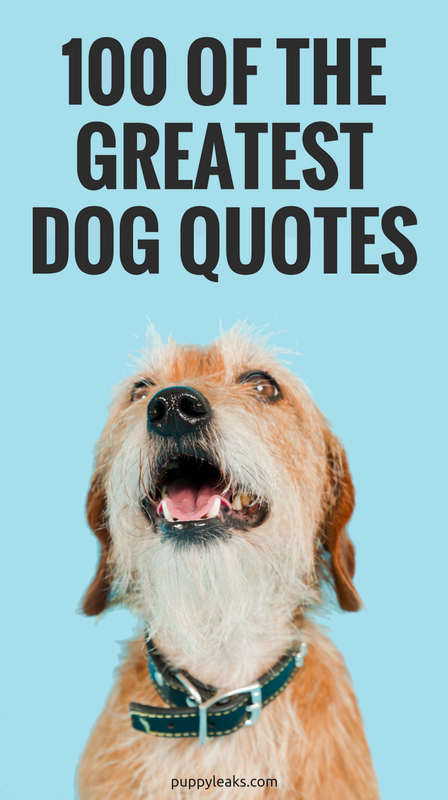 Particularly dog quotes. Thank you for compiling these. Thank you, and hopefully the removal of all that extra formatting will make it easy for anyone looking to use any. Thank you, that’s a great one. If you corner your dog one of three things will happen. A. The dog will bite, B. 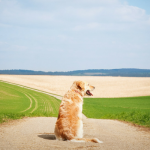 The dog will eventually run away, or C. The dog will stay in the corner forever, just waiting for acceptance until they are gone . Either way you will have to live with those regrets. 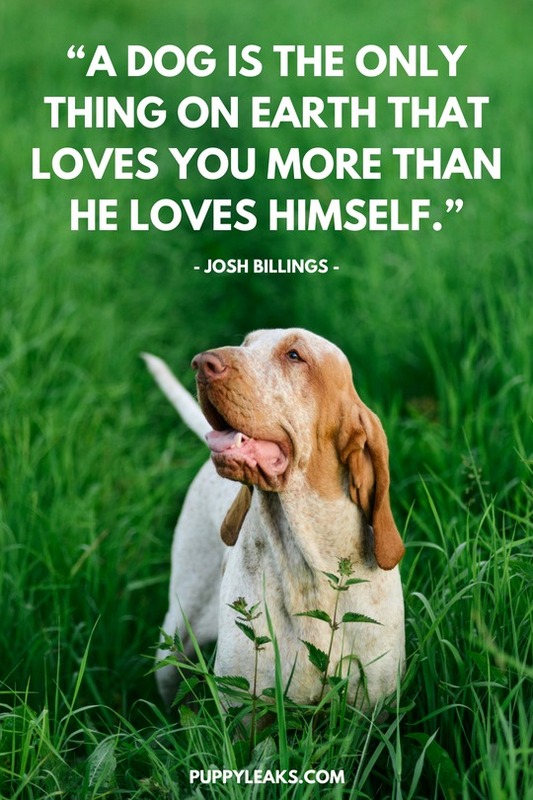 Love your dog. 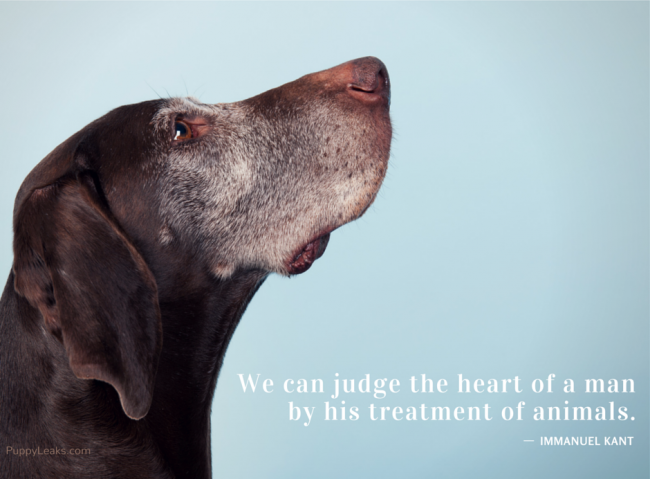 ( Even the human ones). 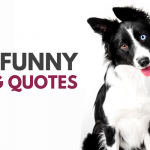 I love quotes and love this collection of dog quotes! 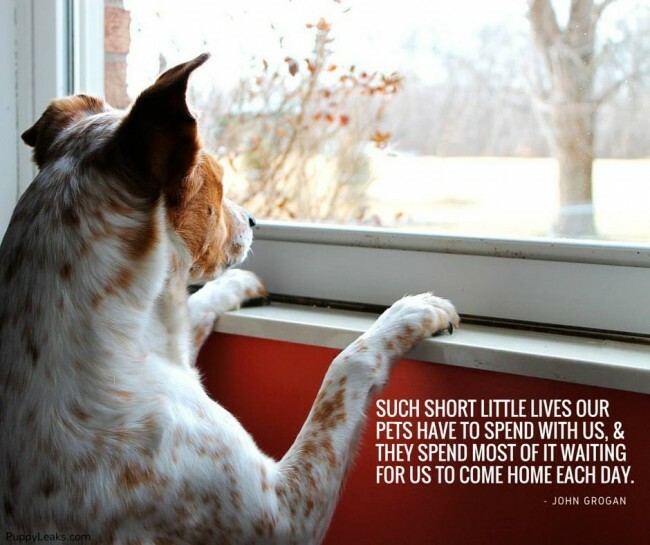 My favorite quote is from a pillow my first dog, Jack, loved… A House Is Not A Home Without A Dog! I don’t know who said it, but it was on his pillow! Thank you for your collection! and your intention is pure. Lost my dog today of 4 years.